Art-making processes not only produce art, they teach life-enhancing attitudes and skills. An estimated 30 to 40 thousand students in Hawai‘i were introduced to the visual arts through the efforts of UH Professor Emeritus Duane Preble. Artforms, the text he wrote with his wife, Sarah Preble is a mainstay across the nation, now in its 11th edition. HPR’s Noe Tanigawa reports Preble has just curated a new exhibition on the importance of Art as Process. At Spalding House, the site of the former Contemporary Museum in Makiki, a chapel of sorts has sprung up in the former tennis courts. 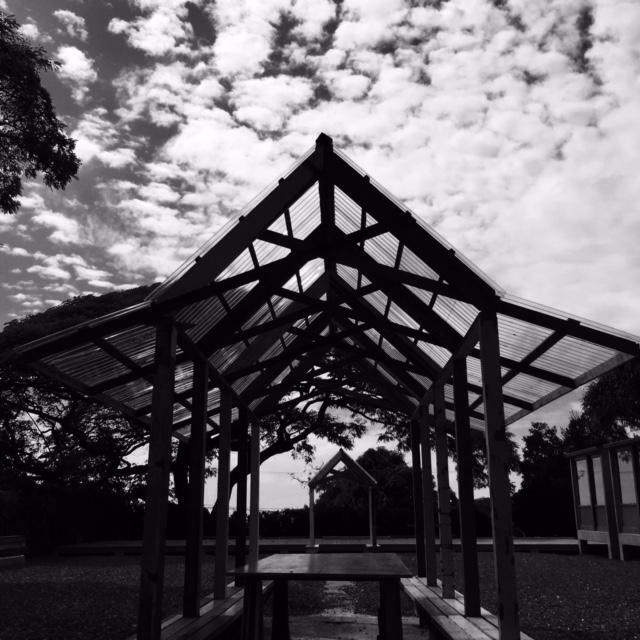 Open to the elements, with a transparent roof, HPR’s Noe Tanigawa found a place dedicated to peace and play. The Pow!Wow! 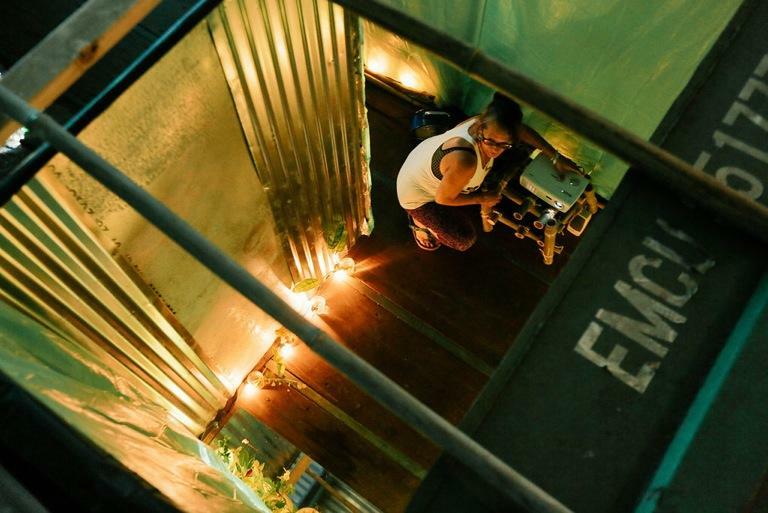 Street Art Festival is underway in Honolulu this week. 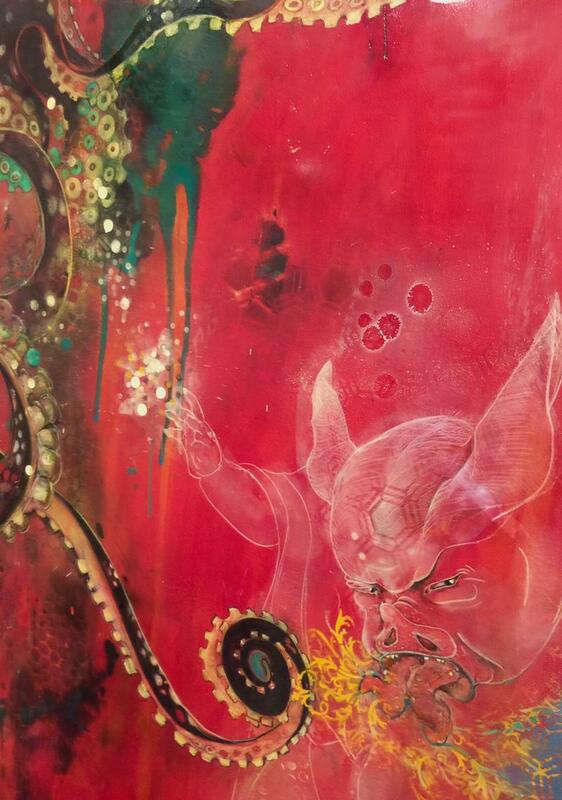 HPR’s Noe Tanigawa was at the opening of the new contemporary show at the HMA School. ‘Pow!Wow! 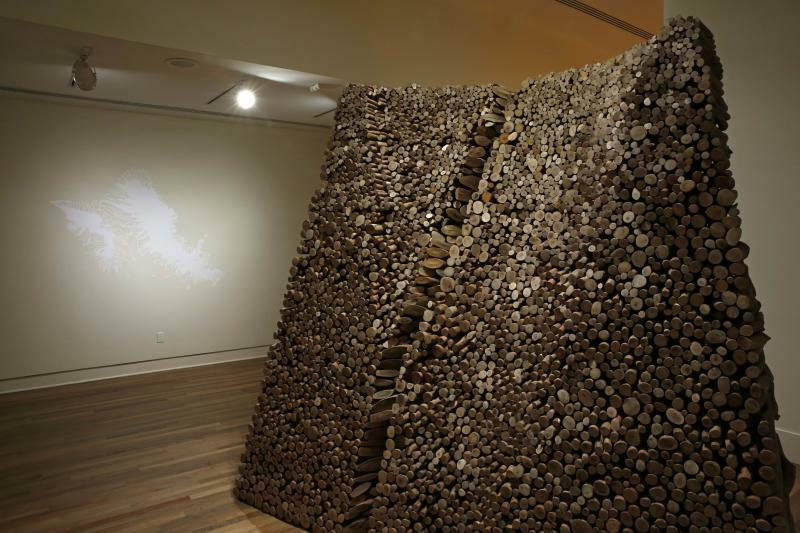 Exploring the New Contemporary Art” continues at the Honolulu Museum School through February 18th. 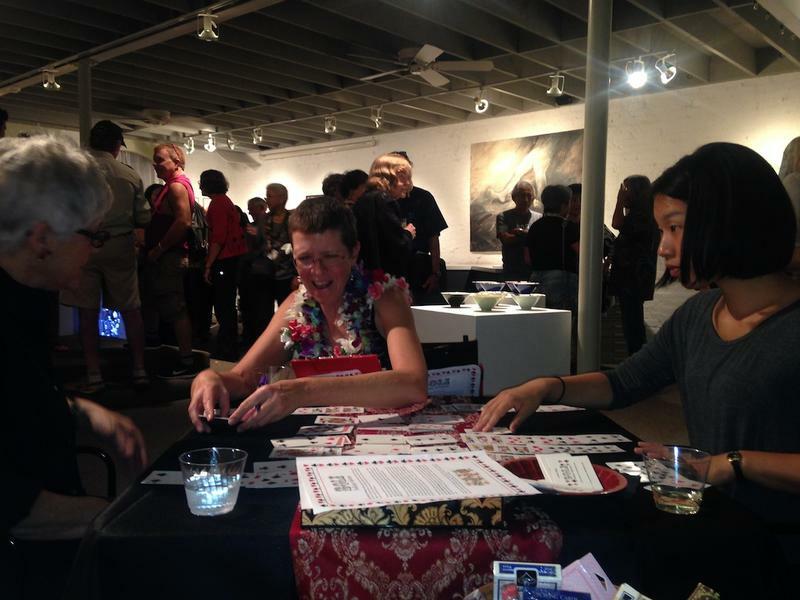 This year there will be work fronting and inside the Honolulu Museum as well. Find out more at the Pow!Wow! website. 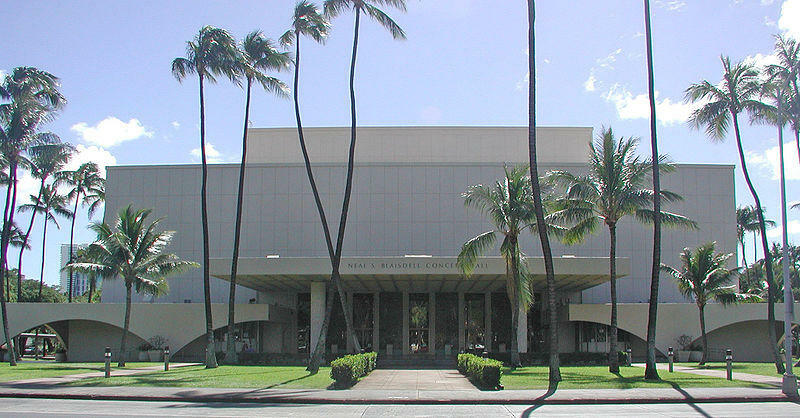 Neal Blaisdell Center: 21st Century Arts Complex? Last year Honolulu city officials began a study to renovate the Neal Blaisdell Center complex. After researching possibilities, the idea for a redevelopment is taking hold. HPR’s Noe Tanigawa offers background in advance of a public planning meeting next week. A public workshop on the Neal Blaisdell Master Plan happens Tuesday, February 10th, 6pm, at the Blaisdell Center Hawai'i Suites, 777 Ward Avenue. Free parking. 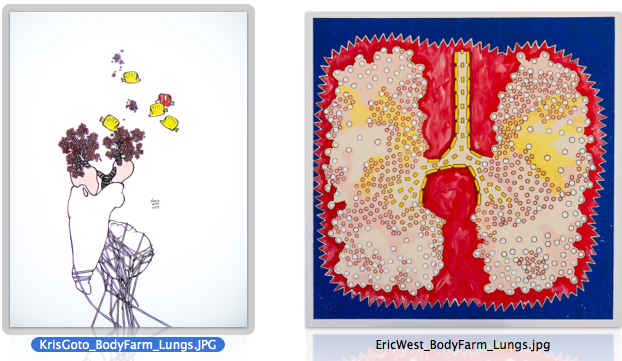 A downtown gallery is interpreting the human body through the style and design of two different artists. For the past three and a half weeks, five professional artists and thirty O‘ahu children have been transforming a ten thousand square foot warehouse space in Kaka‘ako. HPR’s Noe Tanigawa found the combination of planning, hard work and openness to change is a creative way to operate. PRESENT Project artists and students invite the public to an open house tonight, September 24th, to explore the works-in-progress. Dive into the “Nest” at 445/449 Cooke Street across Fisher’s, from 6:30-10pm. An End of Residency Party is set for September 30, 6-10pm. Participants in the UN Climate Change Conference this week in New York are looking to the roots of the problem for systemic change. Some previously unquestioned facets of life might need to be re-examined, like the way we categorize land and build our cities. 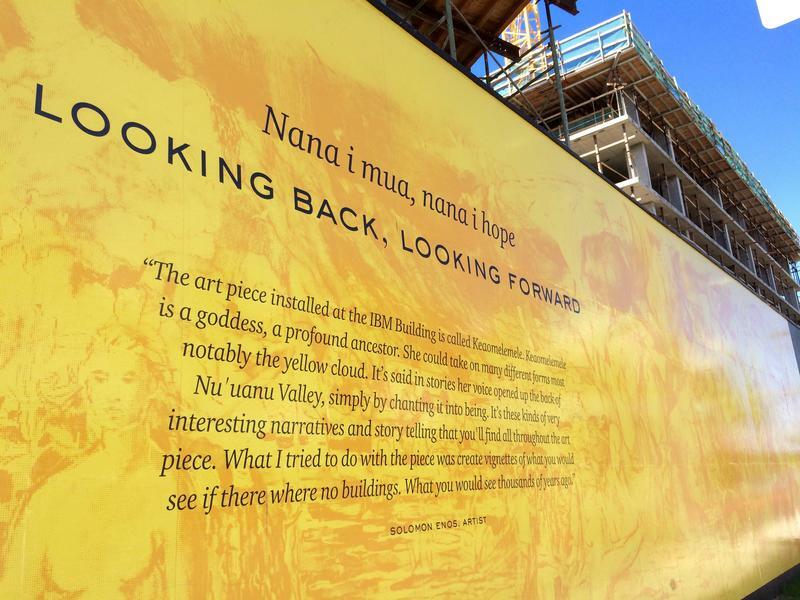 HPR’s Noe Tanigawa reports on the idea of Hawaiian urbanism. Traditional Pacific Tattoo Culture will be shown alongside western tattoo technology this weekend. The Pacific Ink and Art Expo will showcase more than seven hundred tattoo artists- who will be tattooing as well as showing their work. The Expo will also feature local music, art, vintage cars and bikes. There is also a heavy emphasis on illustrating the connections between Tattoos and Polynesian Culture. Danny Castler is one of the founders of the Expo. He says that the event is about culture and education as much as it’s about wearing a tattoo. 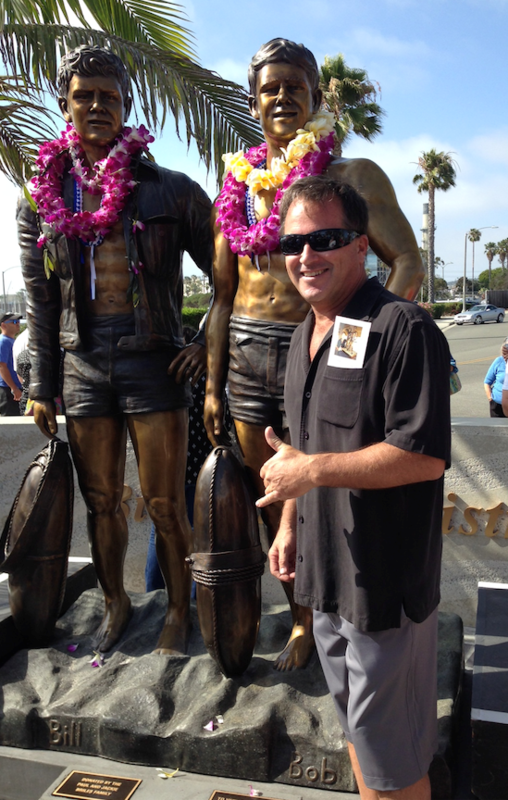 A Big Island sculptor was recently honored by having a major work placed at the entrance to a Southern California Harbor. And it's in honor of two men who played a big role in the development of two sports that are very popular in Hawaii: surfing and diving. HPR's Sherry Bracken has the story. Art Bento: Mixed Plate To Go! Every year, the State Foundation on Culture and the Arts provides standards based art experiences for hundreds of elementary school students. They do it through the Art Bento program which sends artists into classrooms, and welcomes students into the Hawai’i State Art Museum. HPR’s Noe Tanigawa was there for a recent visit. 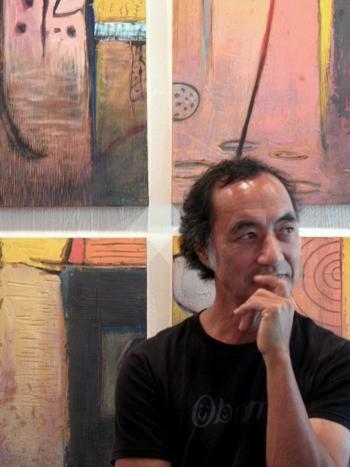 The Maoli Arts Alliance is sponsoring a show on the theme of “Contact”, inviting audiences to reach outside their usual boundaries to connect with new ideas, people, and projects. 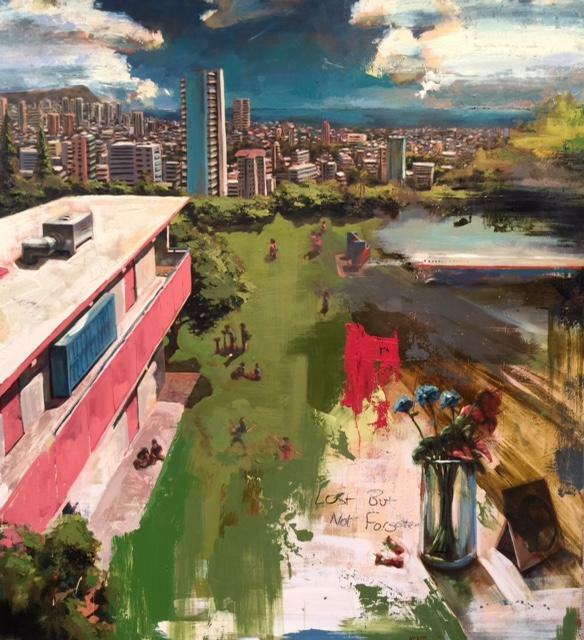 The exhibition at the Honolulu Museum School includes daily dialogs with artists and other community members who are working for positive change. HPR’s Noe Tanigawa reports. 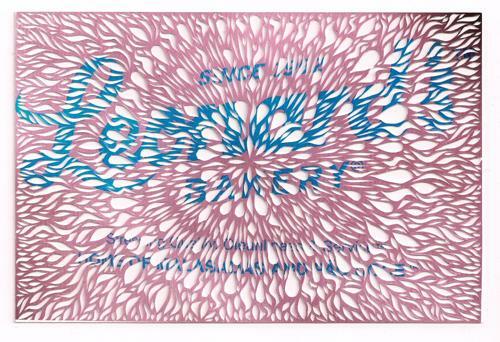 CONTACT is on view at the Honolulu Museum of Art School Gallery through Monday, April 21. This Friday, you’re invited to a night of art, music and lively conversation at the Hawai’i State Capitol. 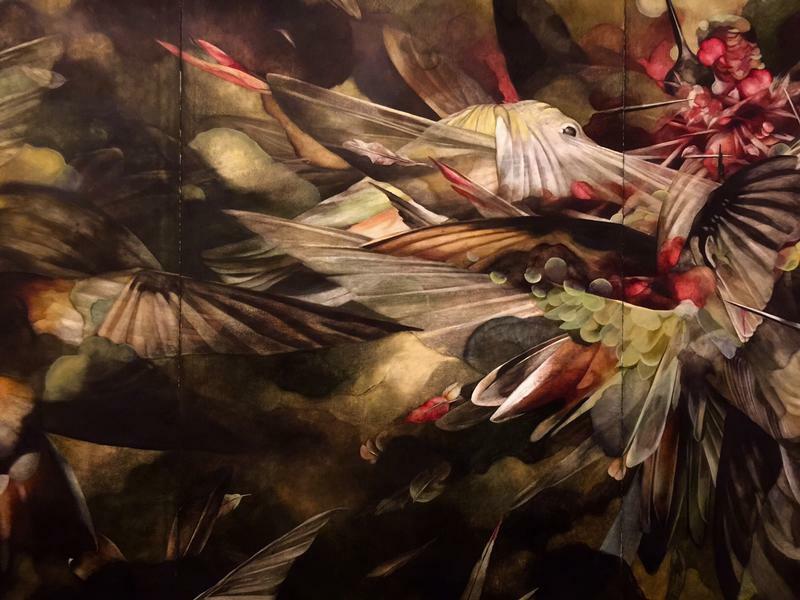 HPR’s Noe Tanigawa reports on the sixth annual “Art at the Capitol” celebration, showcasing hundreds of works of art in a convivial setting. 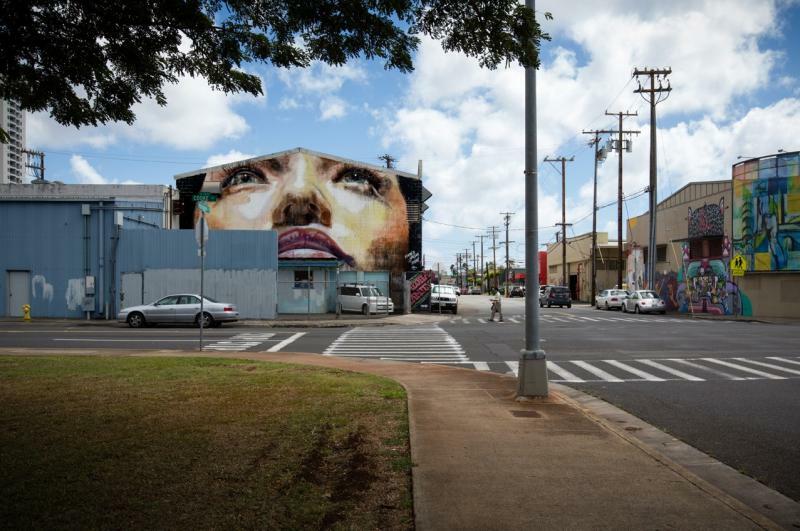 Pow!Wow!Hawai'i: Need We Say More? POW! – that’s the impact art can have on a person, like a punch in the face. WOW! – That’s the reaction people have to art. Pow Wow is the biggest art event to hit Hawai’i in recent memory and over a hundred artists are painting their way through Kaka’ako this week. HPR’s Noe Tanigawa reports. Pow!Wow!Hawai’i continues with three exhibitions, art and music lectures and performances, classes, parties and live painting throughout Kaka’ako, closing Saturday night. 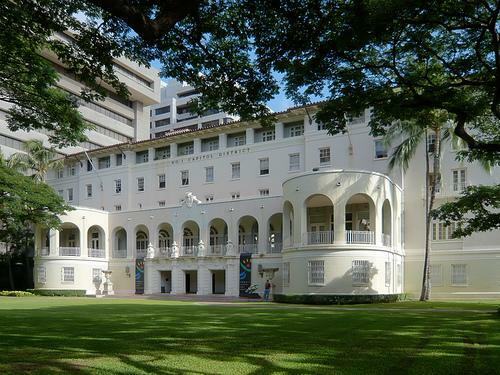 Hawai’i’s art community has been closely following Senate Bill 2620, which had proposed to privatize the management of the State Art Museum, allow expanded use of the 1% for the arts law, and suspend art acquisitions under certain circumstances. HPR’s Noe Tanigawa reports a new draft is currently in the works. The Japanese word, omiyage, is translated as souvenir, or keepsake, given by returning travelers to friends and family at home. Omiyage can be perishable, but their most important quality is being unique or characteristic of their place of origin. That’s the idea behind Jared Yamanuha’s debut exhibition. HPR’s Noe Tanigawa reports. 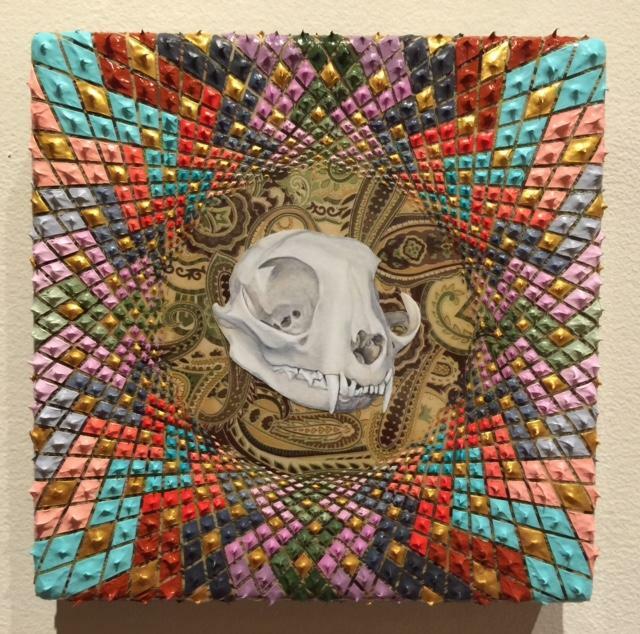 Jared Yamanuha’s show, “Omiyage”, continues at In4mation Chinatown on Nu'uanu Avenue through November. An artist reception and talk is set for Tuesday November 5th, 6-8. 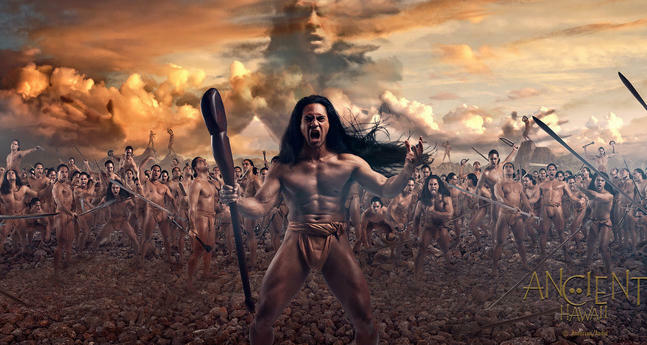 Artists of Hawai’i 2013: Something for Everybody—Not! Something for everybody was not the goal this time around. For its 60th incarnation, The Honolulu Museum of Art’s Artists of Hawai’i show has gone from showing up to a hundred artists to featuring just eleven. 341 artists submitted portfolios for jurying, then the lucky eleven had about ten months to prepare for what is arguably the most important visual art exhibition in the state. HPR’s Noe Tanigawa reports. 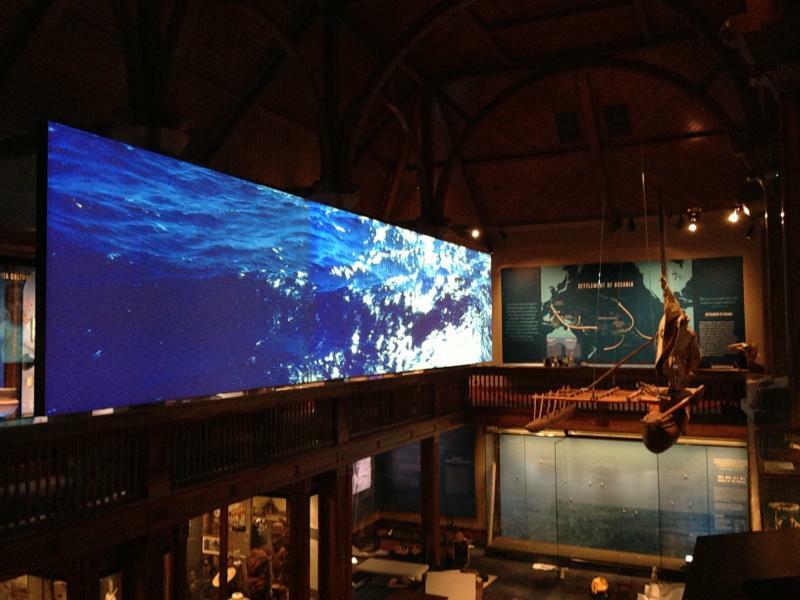 This Saturday, the Bishop Museum is inviting everyone to a celebration in the newly refurbished Pacific Hall. Admission will be free from 9am to 9pm, for all to enjoy. In conjunction with this reopening, a cadre of Bishop Museum workers has been experiencing a deeper immersion into Pacific culture. HPR’s Noe Tanigawa reports, it has been an exercise in connecting inner and outer worlds, guided by New Zealand dancer, choreographer Jack Grey. Every two years, the UH Manoa Department of Art and Art History mounts an exhibition of faculty artworks. It’s an important indication of the abilities and interests shaping art graduates from Hawai’i’s University. HPR’s Noe Tanigawa reports this year’s show is diverse and stimulating. Eighty-five. That’s the theme for this year’s Honolulu Printmakers Exhibition. HPR’s Molly Solomon talked with Hawaii artists preparing to make their mark in an upcoming show.